Coppens International is a specialist in developing, producing, and marketing fish feed. With headquarters in Helmond, the Netherlands, they also have a research centre in Valkenswaard, also in the Netherlands. The company has recently moved their scheduling, transport and purchasing of raw materials to a new production centre in Nettetal, Germany. With the production side sorted out, they turned their attention to storage. Coppens started looking for a supplier who could provide not only the racking they needed but also the forklift trucks that would transport the goods on and off the racking. They asked Dexion for advice. As experts in pallet racking, Dexion understands that clients want a seamless service. However their long years of experience have shown that a better result is often achieved by having two suppliers that know their own products inside out. 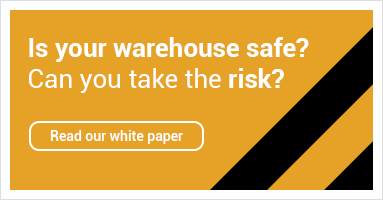 Dexion advised Coppens to choose two suppliers, one who would specialise in warehouse storage and racking, while the other would be highly skilled in transportation. This would provide Coppens with many advantages; a large and broad knowledge of their own product, the ability to offer competitive pricing, and shortened lines of communication to minimise errors. Coppens recognised the advantages of using two specialist suppliers, and decided to appoint Dexion to supply and install the pallet racking, whilst selecting a suitable truck specialist. This approach led to a good working relationship between Dexion and the chosen forklift supplier, which would finally provide an optimal end result for Coppens. Coppens International was established in 1993 and they currently export fish feed to more than sixty countries worldwide. It develops high quality fish feed programs for almost every species of farmed fish in all their development stages and has recently been awarded the coveted farmed responsibly ASC certification.